Members of the South African UK Legion have held the first-ever memorial service at Portsmouth (Milton) Cemetery to commemorate the casualties of SS Mendi. In February 1917, the 4,000-ton SS Mendi, carrying troops from the 5th Battalion, South African Native Labour Corps, when she was cut in half by the much larger SS Darro, an empty meat ship bound for Argentina. 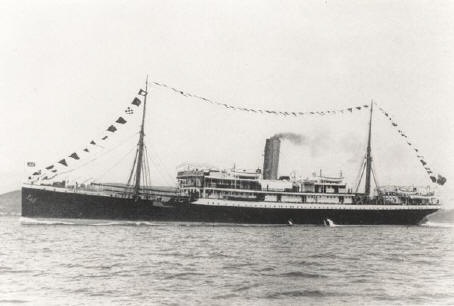 Within 20 minutes, the Mendi had sunk off the coast of the Isle of Wight. The disaster claimed 646 lives, 616 South Africans and 30 British crew, most of whom were never found. But nine bodies washed up at Portsmouth and were buried in Milton Cemetery. This entry was posted in News and tagged 1917, Portsmouth, Royal Navy, South Africa, South African UK Legion, SS Mendi. Bookmark the permalink.